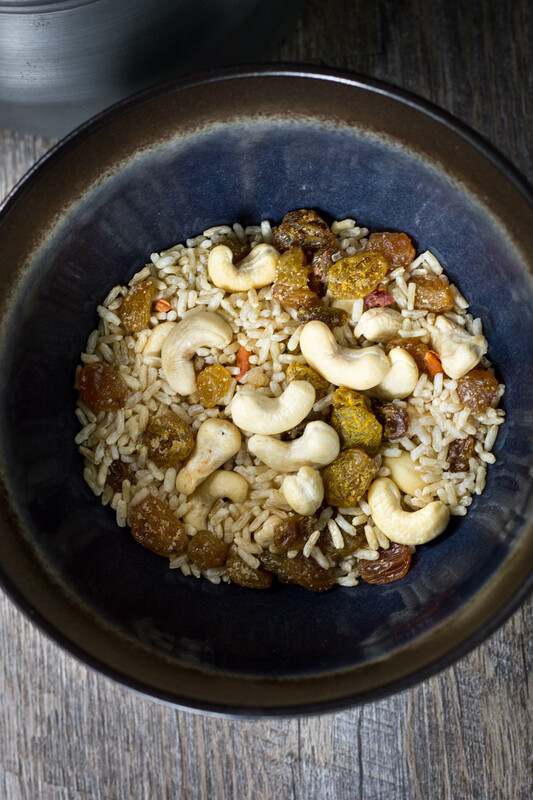 This recipe was intended for backpacking. However, it would also make an easy lunch at work, or weekday dinner. add boiling water to prepare. I like to use the freezer bag cooking method when I’m backpacking. Simply keep the dry mix in a quart sized freezer bag. Add the hot water directly to the bag and set it aside in an insulated container until it’s ready. Once it’s cooked, eat it directly from the bag. 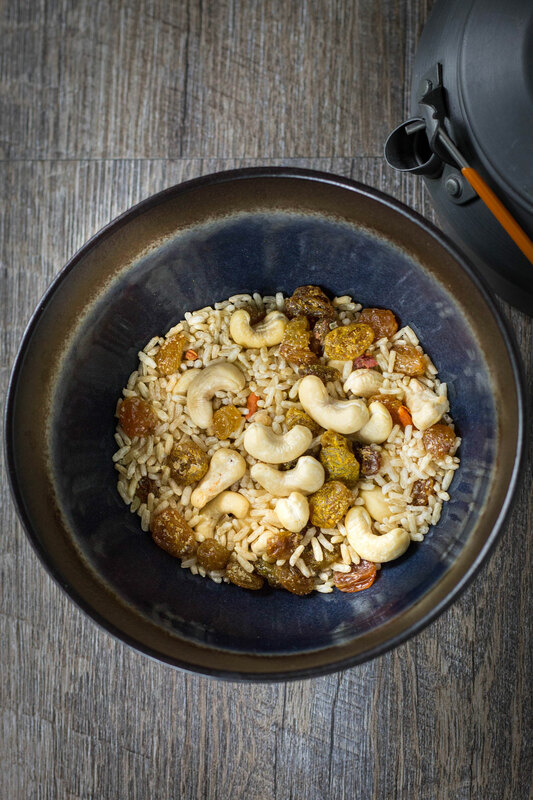 No dirty dishes to worry about! After some trial and error, I discovered that you need to use white rice if you are planning on using the freezer bag method. 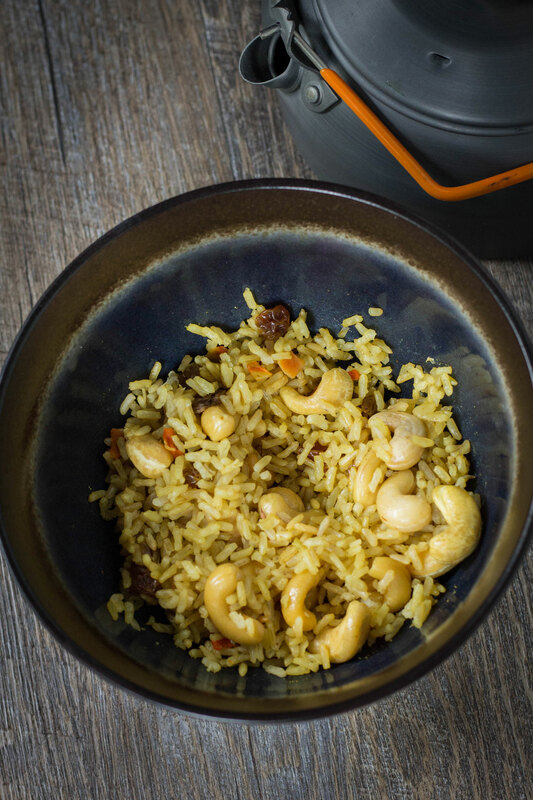 The cook time for brown rice is too long, the water will cool off too fast to properly cook and the rice will still be crunchy. 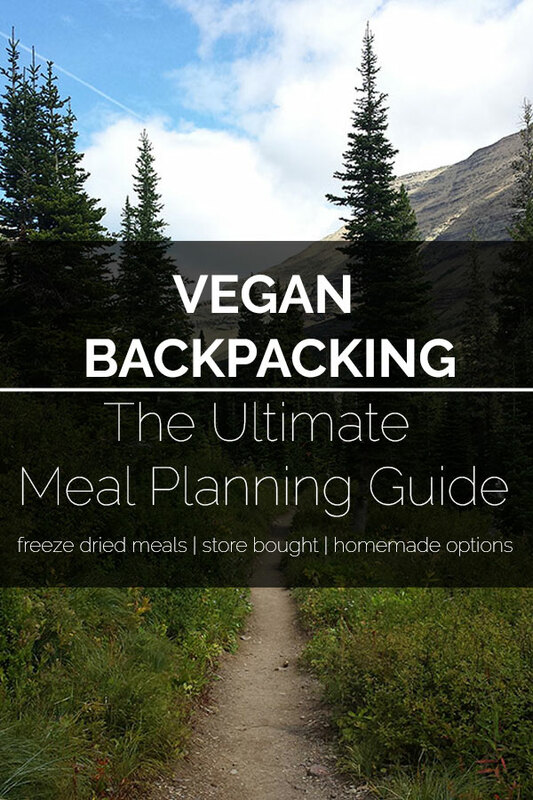 If you want more vegan backpacking options check out 10 Easy Vegan Backpacking Breakfasts, Backpacking Parfait, and The Ultimate Vegan Backpacking Meal Guide. 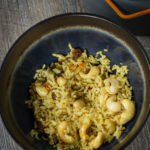 A very simple vegan curry rice perfect for the trail, lunch at work, or a busy weeknight dinner. Add the water when you are ready to prepare the rice. Let stand 5-10 mins or until the rice is tender. Such a great idea! I wish I had this a couple weeks ago when we were doing some long hiking days! Such a wonderful idea! Definitely trying this next time we are traveling! I love this idea! So smart! I am going camping in a few weeks and this is a great idea to make! Thanks for sharing this now I have a go to for my camping trip! !